In this lab, you will configure a frame relay switch and network. Once your configuration is complete, you will use debugging and show commands to view your configuration. FYI: The PVCs (Permanent Virtual Circuits) are defined using the frame-relay route command. 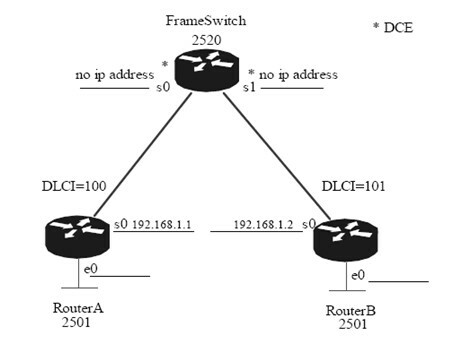 When we configure the router Frameswitch with the command frame-relay route 100 interface serial1 101 on serial0, we’re saying any package identified with DLCI 100, destined for DLCI 101, switch over to serial1 and when we configure the serial1 with the frame-relay route command, frame-relay route 101 interface serial0 100, that creates the PVC. 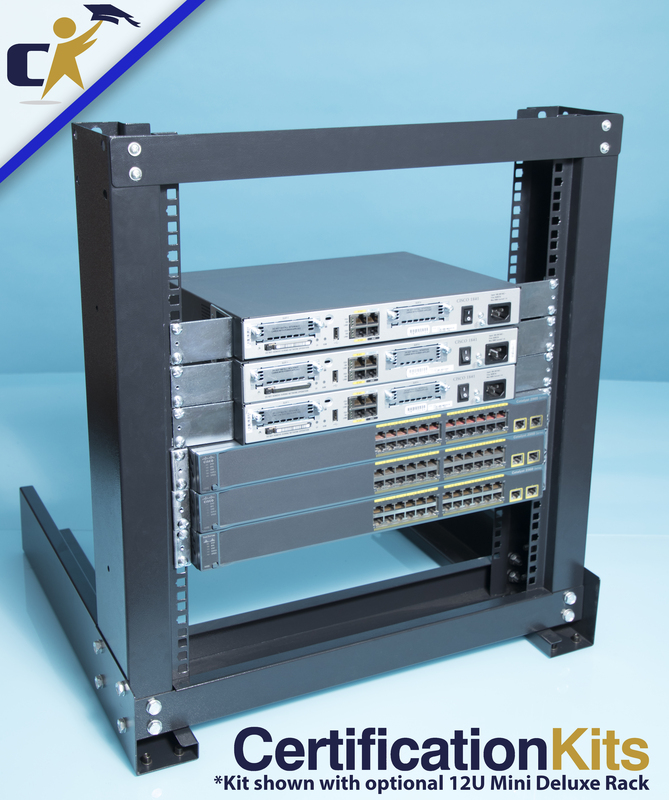 Router# show interface or show interface serial are the most common command s which show a wide variety of information including showing you the DLCI used for LMI. When monitoring Frame Relay information on the router, a number of items are typically monitored including DLCI and LMI.